 Relationships: Studied under history painter Pieter Lastman. Rembrandt's many students included Gerrit Dou, Nicolaes Maes, Jacob Backer, Ferdinand Bol, Willem Drost, Barent Fabritius, Carel Fabritius, Govert Flinck, Aert de Gelder, Samuel van Hoogstraten, Philips Koninck, Jurgen Ovens, Jan Victors and Jacob de Wet.  Subject matter: Specializes in Portraits/History Painting. [Rembrandt's prints] brought him fame and no small advantage, in particular through the device of slight changes and small and unimportant additions, which he made on his prints, thanks to which they could be sold again as fresh ones. Nay, the demand was at that time so great that people were not considered true amateurs who did not possess the Juno with and without the crown, the Joseph with the light and the dark head and so on. Indeed, everyone wanted to have the Woman by the Stove - as it happened, one of his least important etchings - both with and without the stove-key, in spite of the fact that he sold the etching through his son Titus, as if it were too unimportant for himself. - A. Houbraken describing how Rembrandt pioneered a marketing gimmick which still works today, quoted in the Faber Book of Art Anecdotes. 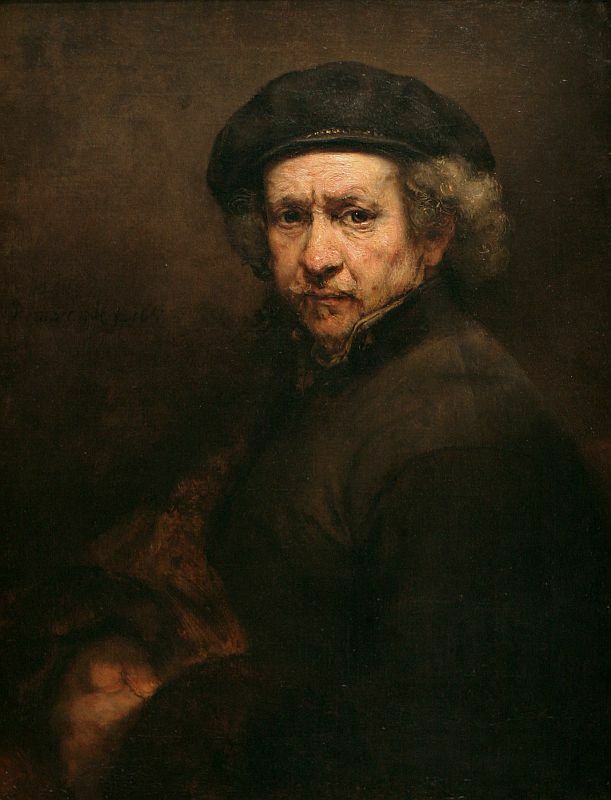 Online exhibition: "Rembrandt. La lumière de l'ombre"
Bing Images: "Rembrandt van Rijn"
An online, collaborative attempt to catalog and illustrate all of the artist's works. Many works listed. "Albrecht Durer & Rembrandt Prints"
Short film: "Restoring Rembrandt's St. James the Greater"
All images and text on this Rembrandt van Rijn page are copyright 1999-2015 by John Malyon/Specifica, Inc., unless otherwise noted. Note that the listings on this site are a unique compilation of information and are protected by copyright worldwide.